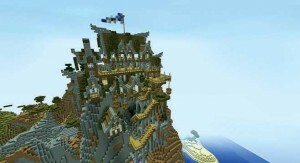 Not too long ago, this game made headlines due to its developer Mojang's recent $2.5 billion acquisition by Microsoft. That's way more than the price of recent acquisitions like Facebook's Instagram takeover ($1 billion) and Yahoo's Tumblr ($1.1 billion). For many over here, it came as a shock because a lot of people in Bangladesh are actually almost completely unaware of Minecraft. It's a sandbox game. And it's just that. You get to do and create whatever you want. Ever wanted to make a replica of your own house but with a 24/7 supply of electricity? Now you can with Minecraft. It's like Lego for adults who can't afford Lego. A bunch of survival elements can be thrown in. These involve Creepers which creep up on you and explode. There's an abundance of spiders, skeletons and fish which try to kill you. Except you kill them and harvest their bones and string to build your castle on their dead bodies. 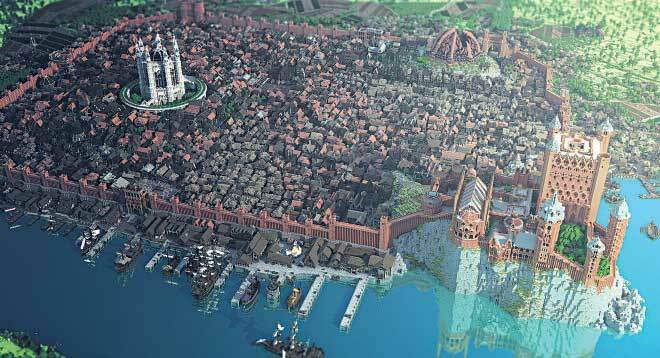 Minecraft is what would happen if you were thrown in the middle of Rangpur with nothing except your bare hands to build civilisation. And if you had the work ethic of 10,000 Egyptian slaves to go with it. Unlike Terraria, which is Minecraft's 2D action-adventure cousin of the same genre, Minecraft does not have any quests. A group of players made a computer inside Minecraft. So to speak, you can create a computer inside a world inside a computer. Although, the Minecraft computer is very basic and can only load 16 lines of code into its RAM, it's still a feat. 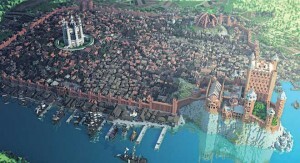 Now, for all the Game of Thrones fans out there, a group made an exact replica of King’s Landing. The amount of detail put into the map is insane. A lot of gamers will think that with enough people, an exact replica of Dhaka is very much possible or maybe something less ambitious like your school classroom just as you remember it. It'll be even more fun if you can get your friends to do it along with you. For some, recreating places from memories can be an extremely rewarding pastime. There's another problem when it comes to attracting newer players who're into flashy games to Minecraft: the graphics of the game are pretty blocky and old-school. But to that, Siam Shafiq, who hosted a Minecrafters BD server at the time, said “Overall with some time and dedication I believe Minecraft can take off in Bangladesh but only if the people judge the game by its gameplay, not its graphics. Based in a 3D world of cubes it's only normal to have that sort of retro graphics but that's the entire point.” But then again, if you treat each block like pixels are on a screen, a lot of detail CAN be added to the game if one is patient with the amount of blocks taken. While Minecraft is taking off globally, very little is done over here in Bangladesh. Some of the players urge the ISPs to host a dedicated server like they do for CoD and Counter-Strike but until the community grows enough to turn the extremely stiff heads of Bangladeshi ISPs, there's little that can be done; unless you are like Ayaan Manzur from Minecrafters BD and his friends who rent a server for Tk. 400 every month from Singapore.